Restore your tired dull skin to a healthy glow using this unique moisturizing Aloe Collagen Essence Mask. 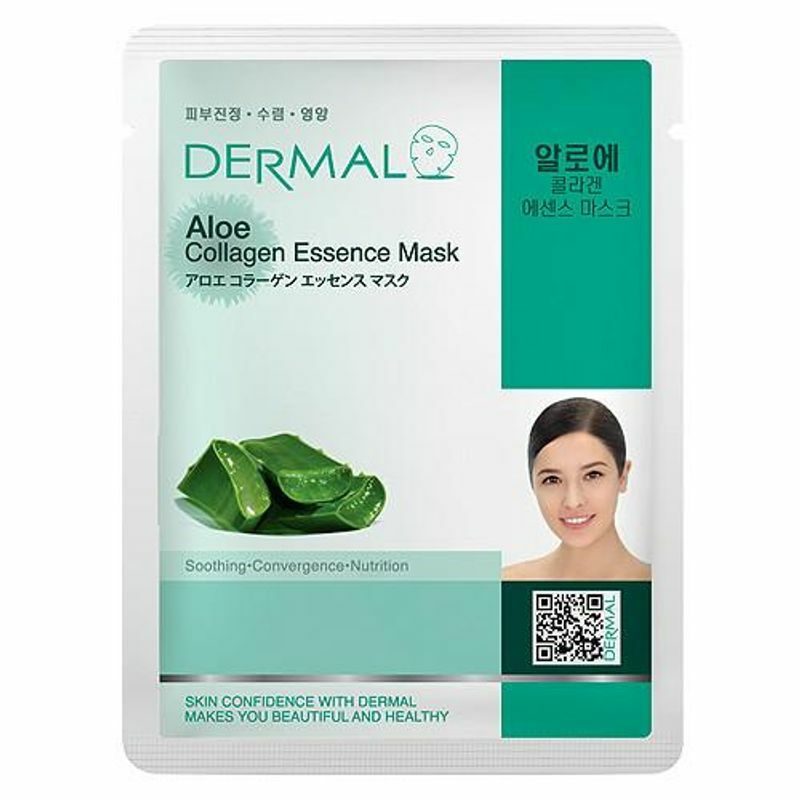 The DERMAL Aloe Collagen Essence Mask contains Aloe extracts 1.0%, Vitamin E, Collagen. It helps to revitalize and soothe the skin with mild astringent effect of aloe extracts. It gives skin a hydrated lift and leaves skin perfectly clean and supple.